Serialization for pharmacies – what changes in everyday life? In pharmacies hundreds of medicines are sold everyday. From 9 February 2019, all prescription drugs must be serialized. So what does the Falsified Medicines Directive (FMD) mean for pharmacies and their internal processes? Pharmacies usually purchase their medicines from wholesalers, where individual packagings can be checked optional. In the pharmacy every single medicine pack is then scanned, it is the very last verification and represents the end of the supply chain. The pharmacist scans the 2D data matrix code on the drug packaging and the pharmacy system automatically makes a verification request to the database system of the pharmaceutical industry. If the request is successful and everything is in order with the requested serial number, the pharmacy receives the “go-ahead“. The packaging is then verified and handed over to the patient as usual. If the serial number is not found in the system or there is any other error, the system displays “red“, and the medicine must not be handed out, but is reported to the authorities. In order to comply the Falsified Medicines Directive and to be able to handle the serialized drugs in compliance with the guidelines, pharmacies were equipped with the appropriate hardware and software by their pharmacy suppliers. 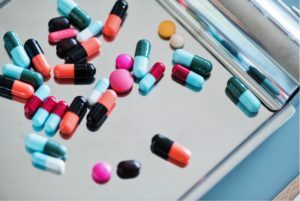 The connection to the pharmacy system already began in 2018 in order to be able to resolve possible problems in good time before the final implementation of the Falsified Medicines Directive. The electronic access to the German verification system securPharm is called N-Ident and is made available to all public pharmacies by the Netzgesellschaft Deutscher Apotheken (NGDA), the network company of pharmacies in Germany. N-Ident consists of a user name, a password and an electronic certificate. Furthermore, pharmacies also need a scanner that is compatible with securPharm. These preparations should already be completed at this moment in pharmaceutical serialization. In everyday pharmacy life there are of course some special cases that must be taken into account in the new procedure. A special feature, for example, are partial quantities. They may continue to be dispensed, the corresponding medicine pack with the remaining quantity remains in the pharmacy and is only verified in the system after complete delivery. If the deactivation of the serial number via the pharmacy system is not possible due to internet or power failure, the deletion can also be carried out later and manually. In addition, a 10-day reversing entry period is scheduled within which booked out drugs can be set “active“ again as long as they have not left the control area of the pharmacy, for example, the courier did not catch the patient. All in all, pharmaceutical serialization can be seen as a positive development for pharmacies since – in addition to greater patient safety – batch numbers and expiration dates as well as the assignment to the respective supplier are now available in machine-readable form, thus making merchandise management more efficient. And how are hospital pharmacies affected by serialization? 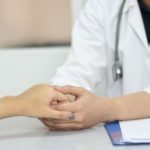 Blockchain: The future for healthcare in Germany? Why serialization from the Ruhr area? What effect does the EU directive have on the pharmaceutical industry? What are the benefits of serialization?